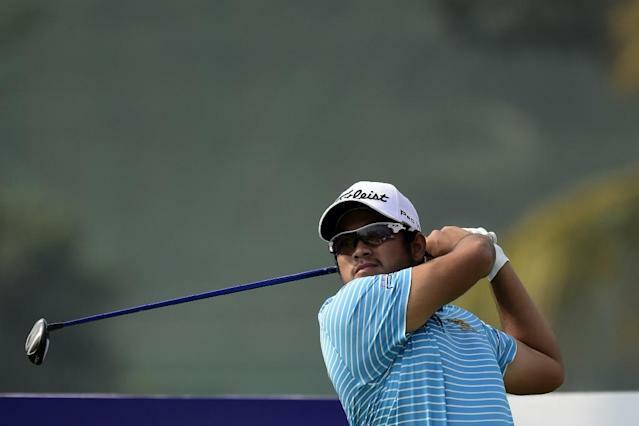 Dhaka (AFP) - Thailand's Thitiphun Chuayprakong clinched his maiden Asian Tour title when he carded four-under-par 67 in the final round to claim a two-shot victory at the $300,000 Bashundhara Bangladesh Open on Saturday. The 23-year-old Thai, who went to the final round with a three-shot lead, kept his composure to hit five birdies against a lone bogey for a winning total of 21-under-par 263 at the Kurmitola Golf Club. Compatriot Sutijet Kooratanapisan mounted a late charge with five-under-par 66 to secure the second place, his best finish on the region's premier Tour. India's Shubhankar Sharma signed off with a splendid 65 to take the third place on his own on 270, while compatriot Chikkarangappa S. (73) shared fourth with Phachara Khongwatmai of Thailand (68) on 272. "I have been waiting for this win for a very long time. I have worked really hard for this," said Thitiphun, who is nicknamed 'Tote' -- or "slow" -- by his friends. "I practiced with Sutijet a lot back home and we are very good friends. I knew he will play good today and he did. I guess I am lucky." Sutijet, who was also bidding for a breakthrough win, tipped his hat to Thitiphun for being a deserving winner. "I think I put up a good fight today. I did my best but Thitiphun was just too good with his short game," said the 28-year-old Sutijet, who fired eight birdies against three bogeys. Shakhawat Sohel emerged as the highest-placed Bangladeshi for the second consecutive year after closing a 68 to take sixth place on 273. 263 - Thitiphun Chuayprakong (THA) 65-66-65-67. 265 - Sutijet Kooratanapisan (THA) 67-67-65-66. 270 - Shubhankar Sharma (IND) 66-68-71-65. 272 - Phachara Khongwatmai (THA) 68-69-67-68, Chikkarangappa S. (IND) 68-66-65-73.